I picked these in the Back Forty yesterday afternoon from the vines that I didn’t pull down in October. Can you imagine how many I would have gotten if I hadn’t picked every slightly filled out bean and pulled out half the vines then? You can never quite be sure what the right gardening thing to do is in North Carolina in October. A couple of years ago I picked an eggplant on December 1. Now I’m trying to decide what to take to this potluck tonight. I have asparagus left from the casserole I made for Thanksgiving, and I could buy mushrooms and recreate that. 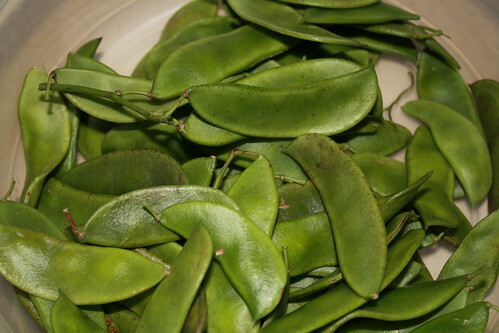 Or I could add butterbeans and field peas from my freezer to these fresh butterbeans. Or I could buy more goat cheese to add to this really delicious farro salad. I plan to make a big pot of chili for the week ahead. Other than that, I’m reading a Dennis Lehane novel, loving my kittehs, working on photography projects for this online class, and binding some books over the weekend. I’m thinking about thawing out some paper pulp and making a small batch of paper tomorrow. What are you doing? Guido was chasing his tail, and now he is chasing Lucy back and forth through the house. You’d never know that he was an old man. Theo decided to join in the fun, which effectively stopped the game. How sad. Miss Jazz hisses at everybody, including me. But they’re getting there. It’s much better than it was – they all sleep together which says a lot about the progress. 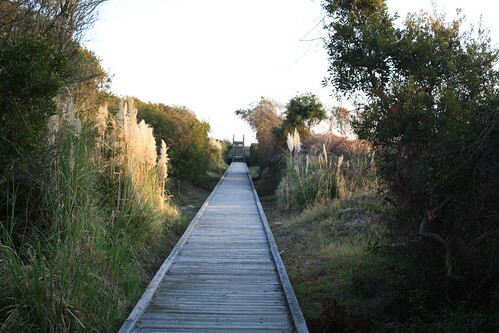 Here’s a couple more photos from the beach. 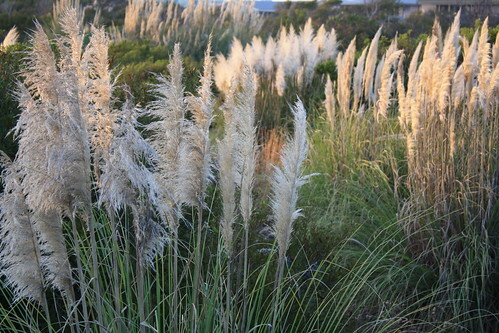 The pampas grass has naturalized through the area between the dunes and the houses.